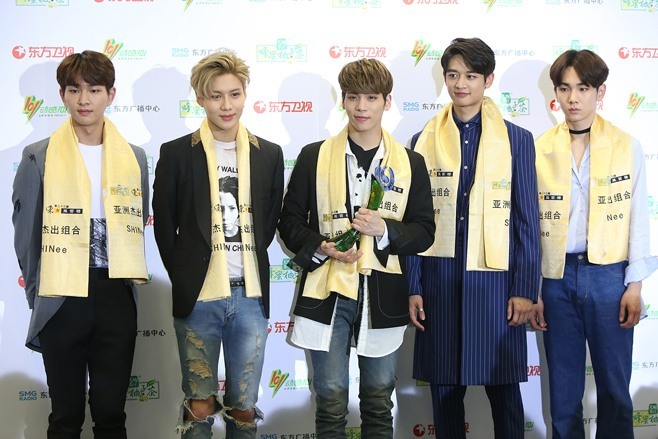 K-pop group SHINee won the Asia’s Best Group Award at the 23rd DongFang Music Awards in Shanghai on Monday. The event is considered one of the biggest annual award ceremonies in China. It was established in 1994. SHINee was the only K-Pop group invited to attend and perform at the ceremony. Member Taemin performed his solo track “Press Your Time.” The group also showcased its single “View,” which was the concluding act of the night.